Perfect for extra large lots and park-like expanses. 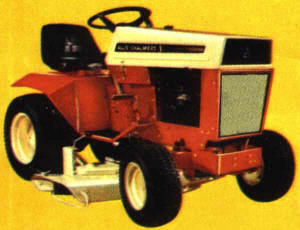 The 314 shares a free floating axle and mower design wfth all 14, 12 and 10 hp models. Mower follows when the axle pivots over dips and ridges, to give you non-scalp mowing.